The British chemical company Chemring, which supplied Hong Kong police with tear gas used against pro-democracy demonstrators, will review its sales policy, a representative said Tuesday. The British government will also review its sale licensing to Hong Kong after police were criticized for their use of tear gas and pepper spray on largely peaceful protesters during the weekend. 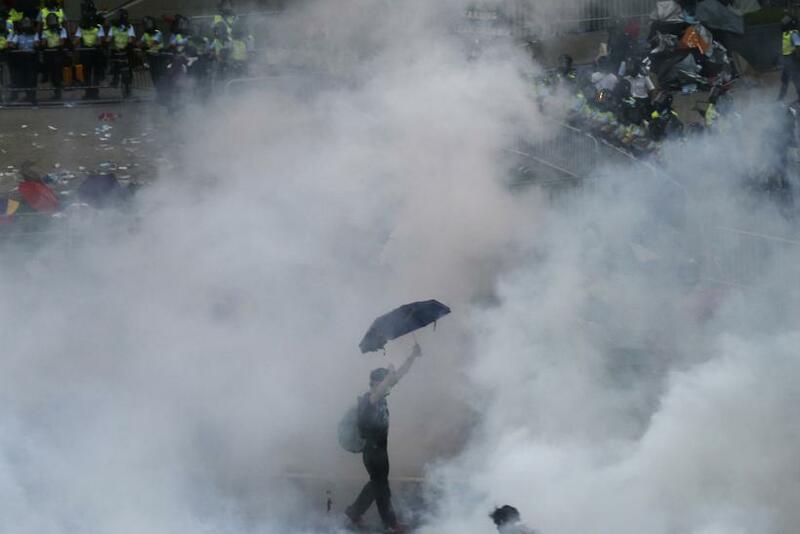 The U.K. has approved tear gas contracts for sales to Hong Kong worth around $292,000 since 2010, the Telegraph reported. British Foreign Secretary Philip Hammond told BBC News the British government does not condone the use of the specific kind of tear gas used by Hong Kong police, known as CS gas, but he defended the sale as entirely legal. Protesters took note of the origin of the tear gas after finding canisters on the streets of Hong Kong. One of the canisters reportedly found by demonstrators on the streets is for when the “rapid emission” of a “large volume of irritant smoke” is required, according to a Chemring specifications sheet. British Prime Minister David Cameron spoke out in support of Hong Kong democracy Tuesday, breaking the British government's relative silence over the protests. The U.K. handed control of Hong Kong to China in 1997 after over 100 years of colonial rule. Part of the agreement was for a move toward democratic elections. "Real universal suffrage doesn't just mean the act of voting, it means a proper choice," he said. British Foreign Secretary George Osborne urged the Chinese government to seek a “peaceful resolution of the situation,” Tuesday as protesters and Hong Kong authorities planned for China’s National Day on Wednesday. Protesters laid down demands for democracy in Hong Kong’s elections to the Chinese government, but China quickly shot them down.